Home > Discover > News > Could your photo be the front cover of the updated SUMP Guidelines? Could your photo be the front cover of the updated SUMP Guidelines? CIVITAS SUMPs-UP has launched a new photo competition. Ideally, they are looking for images that depict dynamic scenes of different transport modes mixing together in urban environments – the greener, safer and more sustainable the better! 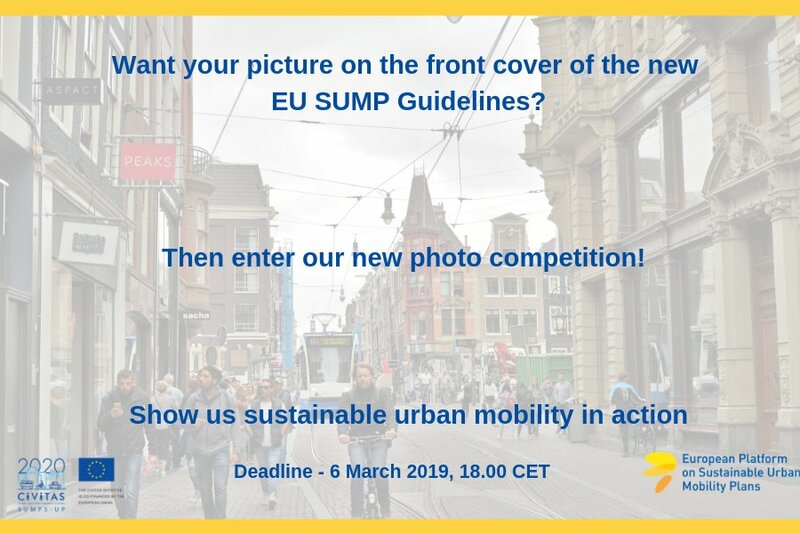 The winning photo will feature as the front cover of the new EU SUMP guidelines - one of the EU’s key mobility planning documents. Entries should be sent to contact@sumps-up.eu by 6 March 2019, 18.00 CET (Central European Time).